Checking in was very easy and the staff very helpful. The unit was very comfortable and exceeded our expectations. Location, whilst not having a sea view, was still excellent and just a few minutes away from the sea. 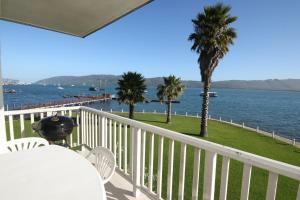 Best location you can stay in Knysna. The apartment so clean and very well equipped kitchen. The host is friendly and approachable. Highly recommend. Laguna Grove is the perfect place for a family vacation. It has a 24 hour store opposite to it. Great restaurants nearby. Close to both Knysna heads and Brenton beach. Great place to jog. We stayed in a 3 bkk on ground floor. Loved the master bedroom and the living room. Getting in was bit tricky but we managed it somehow. that was a weekend we will all never forget for our entire life.....as much as we are all from the neighborhood, Mosselbay....we never knew the beauty of Knsyna....we are all happy for everything and definitely will recommend to our families for family gatherings. The property is so lovely, accommodative, secured, clean and perfect. The property was good, clean and very nicely connected to the city centre. Beautiful views. Good facilities. Dish washer and coffee machine were a real bonus! The location was great and the views from the apartment was amazing! We really enjoyed our stay in the comfort of apartment #28. It felt like a home away from home. The beds were soft and comfortable. This place was just perfect for us. The area, views, surroundings was spectacular. Love the location on the Lagoon and next to the Waterfront. Lock in a great price for Laguna Grove Holiday Rentals – rated 8.7 by recent guests! Laguna Grove Holiday Rentals This rating is a reflection of how the property compares to the industry standard when it comes to price, facilities and services available. It's based on a self-evaluation by the property. Use this rating to help choose your stay! 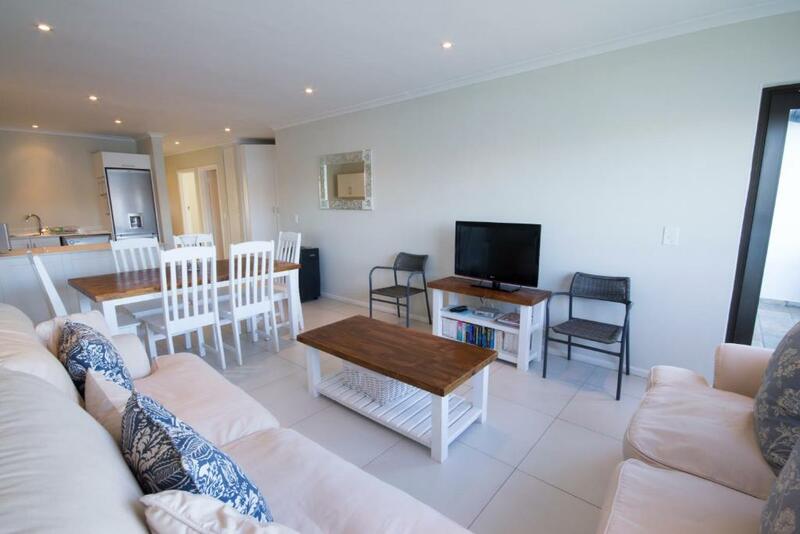 One of our top picks in Knysna.Located on the Knysna Lagoon front, Laguna Grove Holiday Rentals offers fully-equipped apartments with panoramic views. 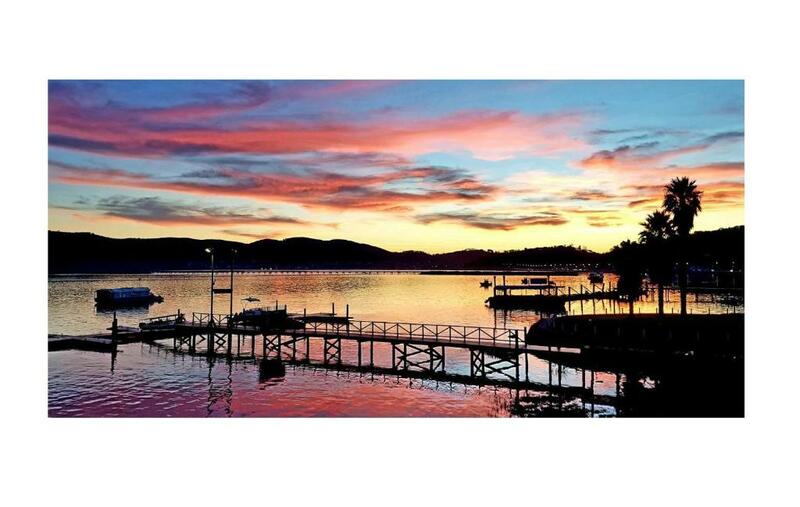 Downtown Knysna is just a 10-minute walk away. These self-catering apartments are individually decorated and feature a balcony with lagoon views and BBQ facilities. Each has an open-plan lounge and dining area with flat-screen satellite TV, as well as a fully equipped kitchen. Certain two-bedroom apartments offer 1 bathroom, while the three-bedroom apartments offer 2 bathrooms. Linen and towels are provided at Laguna Grove Holiday Rentals. 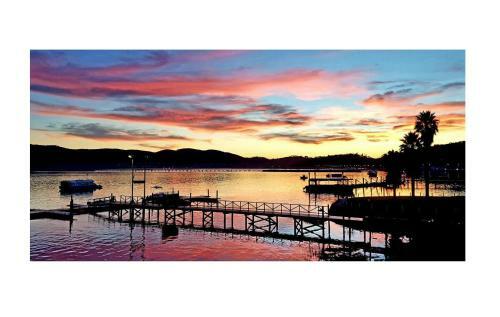 Knysna Mall is 0.6 mi from Laguna Grove Holiday Rentals, while there is also a variety of restaurants, shops and boat trips available at the Knysna Waterfront, a 2-minute walk away. When would you like to stay at Laguna Grove Holiday Rentals? 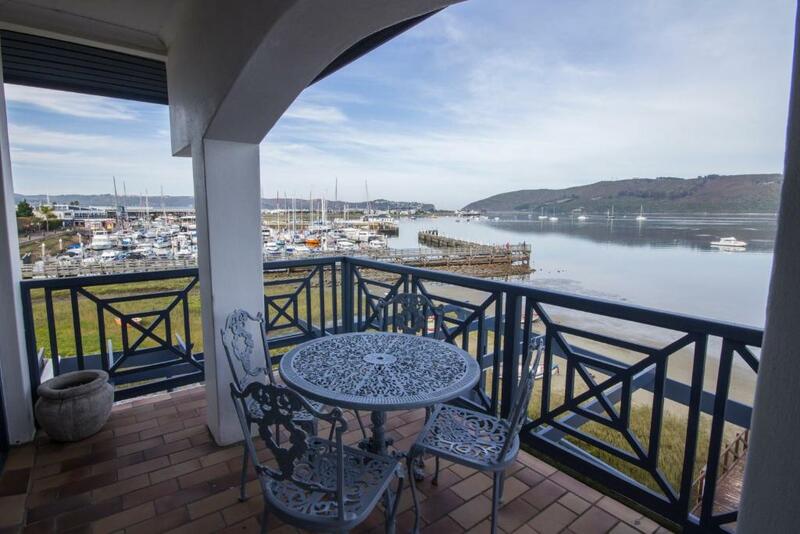 Modern, ground floor apartment featuring views of the Knysna lagoon and the quays. It includes an open-plan lounge and dining area as well as a fully-equipped kitchen and a balcony with BBQ. There is also a flat-screen TV with satellite channels. 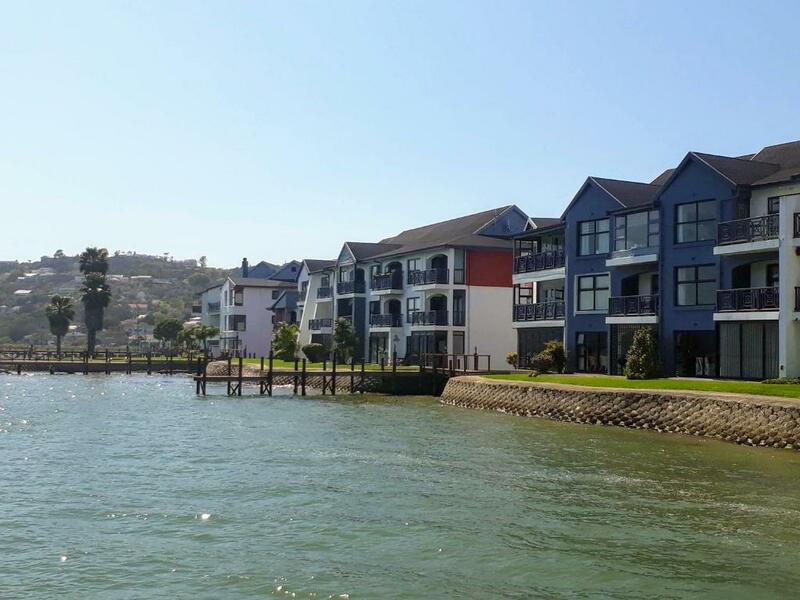 Modern, top floor apartment featuring views of the Knysna Lagoon and the quays. It includes an open-plan lounge and dining area as well as a fully-equipped kitchen and a balcony with BBQ. There is also a flat-screen TV with satellite channels. 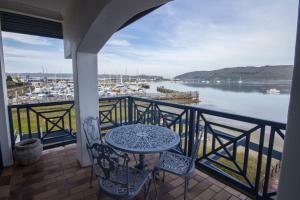 Modern, first floor apartment featuring views of the Knysna Lagoon and the quays. It includes an open-plan lounge and dining area as well as a fully-equipped kitchen and a balcony with BBQ. There is also a flat-screen TV with satellite channels. 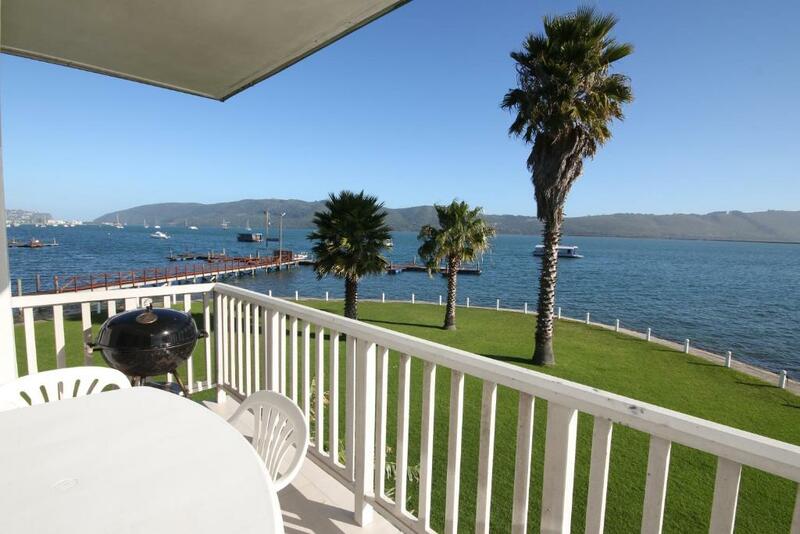 Offering views of the Knysna Lagoon, these apartments either have a balcony or an outdoor area with seating and BBQ facilities. They have an open-plan lounge with flat-screen satellite TV, dining area and a fully-equipped kitchen. House Rules Laguna Grove Holiday Rentals takes special requests – add in the next step! A ZAR2000 damage deposit is required 7 days before arrival (about USD139.65). This deposit will be fully refunded 14 days after check-out, as long as there isn't any damage to the property. One child under 6 years is charged ZAR 150 per night when using existing beds. All children under 2 years are charged ZAR 50 per night in a crib. Debit card Laguna Grove Holiday Rentals accepts these cards and reserves the right to temporarily hold an amount prior to arrival. Laguna Grove Holiday Rentals accepts these cards and reserves the right to temporarily hold an amount prior to arrival. Please note that there is an additional cleaning fee for 1 night bookings. Please inform Laguna Grove Holiday Rentals of your expected arrival time in advance. You can use the Special Requests box when booking, or contact the property directly using the contact details in your confirmation. A damage deposit of ZAR 2000 is required. The host charges this 7 days before arrival. That's about 139.65USD. This will be collected by credit card. You should be reimbursed within 14 days of check-out. Your deposit will be refunded in full by credit card, subject to an inspection of the property. Nobody to receive you on arrival. No staff visibility, no room service, no one checked on us after check-in. No one on site to inform on maintenance issues. Same towels the entire stay. Only 1 and half toilet paper. No cleaning service offered. Sad that we had to clean up on a holiday considering we away from home. The WIFI signal was poor so found it difficult to use IPad —- not the end of the world but useful on occasion these days ! Perhaps another chopping board ? It was a spacious self catering unit. The property is on the lagoon with great views from the main bedroom, lounge and kitchen. It has the best location. easy walk to town and the Waterfront. The parking space is too narrow, especially when you travel with a bigger car, and there is a long Jaguar parked next to you. Meneuvring in and out took a lot of energy. Our parking lot was far away from the apartment, which was touch to carry equipment back to the apartment, rather than to leave it in your vehicle as it might get stolen. That you pay R250 for a maid to clean only at the end of your visit. You need to clean for yourself. The place is clean. Great location. Facilities are good. Parking good. Accessibility to the waterfront shopping area was good. Great stay. Most amazing views from the accommodation. Couldn't have asked for a better location. WiFi was a bit weak. Wonderful location on the waterfront. Close to shops and restaurants. The apartment was spacious, clean and well equipped. Great location with a view of the lagoon and close to the Waterfront. Comfortable place with nice bathrooms and kitchen equipment. Secure garage parking and easy access to main road for day trips. Great details as how to self-check-in on a Sunday.